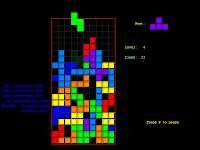 cryptonaut-in-exile: Riddle: What do Tetris and Sam Harris have in common? Riddle: What do Tetris and Sam Harris have in common? They both annihilate free will.